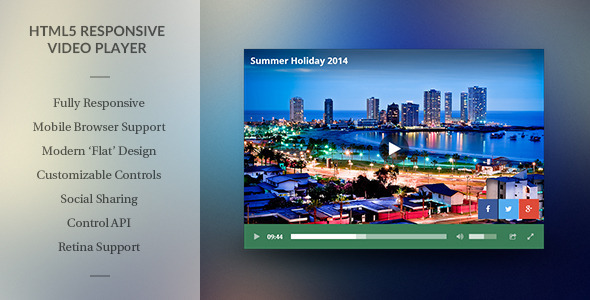 This jQuery plugin plays HTML5 videos in a custom designed player. Our aim was to design a video player with a modern look and an easy to understand layout. This makes it usable by just about anyone and the design will work well into the future. The design is also fully retina supported, so all the icons look extra sharp. One of the other key features is a responsive design. This means the video player is perfect to be used in responsive websites as it adapts to any width.